The economic history of mankind has always been a story of boom and bust. Throughout time, we find crisis after crisis in the recorded pages of history. The slogans of revolution or revolt have far too often been merely a disguise for economic motives by the state, king, minister or emperor. The true story of Caesar and his clash with the Roman Senate led by Pompey is far from the noble story of purely defending the Republic against the ambitions of a ruthless dictator. For all the criticisims, Caesar by his actions was a man of the people from the days of doing battle against the dictator Sulla right up until his death by the hands of the questionable noble Senators of Rome. It is not hard to understand the economic conditions that prevailed during the Civil War and the rise to power of Julius Caesar. Imagine how corrupt our modern-day democracies have become with political pay-offs, self-interest, intentional deadlocks and endless debates. The Senate of Rome was not much different from the current houses of government in our modern era. The same human emotions of power and greed that corrupt our present system also infected the politics of the Roman Republic as it approached its final hour in 44 BC. Unfortunately, Shakespeare may have done more to distort the truth about Caesar than any historian. While Shakespeare was merely trying to create art, contemporary historians were trying to glorify the virtues of the Senate by slandering the nature and intentions of Caesar. But of all the rulers who either inherited power or stole it in the still of the night, no other leader has ever displayed such determination for justice and fairness. Caesar was no ambitious man purely for the sake of glory as one might argue about Nero or Caligula. 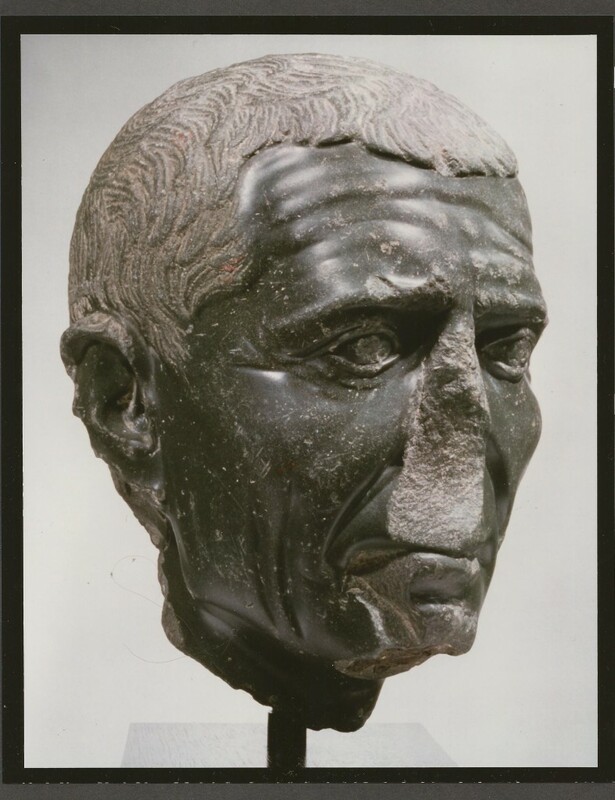 Caesar sought true reform that would benefit the people first and the Senate of Rome last. In our modern arrogance, we tend to feel so superior to these generations that have gone before us. We have cars, trains, planes, medicine and we have even landed on the Moon. Surely, with all these accomplishments, little remains in common with the past. However, when the subject turns to economics, very little progress has taken place in 6,000 years. Banking still functions very much the same today as it did in the days of Julius Caesar – minus credit cards and electronic wire transfers. Interest rates still fluctuate according to supply and demand today as they did in Caesar’s day. Real estate booms and busts still plague our modern economy as they did thousands of years ago. Indeed, to understand Caesar the man, we must also understand the monetary crisis that he and the people of Rome faced at the critical moment in time, which ultimately dealt the final death blow to the Republic while providing the spark of life to the Imperial era that followed. The events that led to Caesar’s death are deeply entwined with not merely political intrigue, but with the cold hard human emotion of greed. When we think of the Roman Empire, few realize that there was a banking system and interest rates just as we have today. It was very much the abuse of credit by the state that severely weakened the Roman Empire and ultimately contributed to its collapse. It was the Dark Age that followed in which a period where credit and banking all but disappeared from western European culture. The monetary crisis that emerged at the time of the Civil War was very much a debt crisis that had been caused by yet another period of excessive credit and corruption. There are many ancient historians who have recorded the facts as they were or sometimes slanted with a few personal biases here and there. During Caesar’s time, interest rates were far more volatile than they have been since the Great Depression. The elections of 53 BC illustrate that fact. The elections of 53 BC effectively degenerated into a bidding war between the various factions. Under the pretense of helping candidates with their expenses, the bottom line was simple bribery. We know from various contemporary authors of the time, that the bribery was so intense, that interest rates jumped from 4% to 8% during those elections. This bidding war was so serious, that the Senate of Rome was forced to act. Pompey professed to be shocked at the entire affair which was highly unlikely given his part in the dealings. The Senate was forced to announce prosecutions against all concerned, and the offices of Consul were given to other parties following a confession by one candidate, Memmius. Political contribution scandals are still taking place today as they did thousands of years ago. Credit and debt had played a key role in many of the political events in man’s history. Following the Civil War in which Pompey was defeated by Caesar, one such monetary crisis threatened the entire political system of Rome. If one were to take an objective view of Caesar and read between the lines of contemporary writers, it is not difficult to see the frustration that Caesar must have felt with the situation. Many of the leading Senators were in fact the moneylenders themselves clearly in a position of conflicting interests. Many Senators sought governorships through which they became unspeakably wealthy. Thus to be a Senator during the later Republic, was indeed a gateway to the rich and famous. The monetary crisis following the Civil War period was not unlike that of the Great Depression of the 1930s. The chief problem seems to have been a shortage of cash. An enormous quantity of coin was taken to pay the rival armies in the conflict, and because of general insecurity among the populace, hoarding had withheld vast sums of cash from general circulation and banks. Consequently, money had become so scarce, there was simply not enough cash available to repay the outstanding levels of debt. Creditors were frantically trying to recover their loans, but the borrower, quite unable to satisfy them, were obliged to forfeit their mortgaged property and all allotments as well. However, this only created additional hardships through the collapse of economic activity. Because creditors were not interested in real estate properties by and large due to the shortage of cash, real estate values plummeted as was the case during the 1930s. Meanwhile, the savage and unfair laws written by the Senate against debtors applied creating a growing sense of unfairness among the populace. This is the backdrop to the real story of Caesar’s assassination. Given the biased position of many Senators as moneylenders, it is unlikely that they would have handled the situation in a fair manner. Perhaps in such situations a dictator was indeed necessary and this may have played a large part in the role of Caesar during this period. Caesar proposed some interesting solutions. He forbade the hoarding of cash like Franklin Roosevelt in 1933. However, at the same time, Caesar obliged creditors to accept land and movable goods in repayment. An interesting touch, which may have cost Caesar his life, was how the valuations of such property were to be used to settle the debt disputes. Consider for one moment, that the loans taken before the debt crisis struck were based upon land values at their peak. Given the collapse in the free markets and the rise in value of cash, creditors then seek to collect full value of their loans in currency, which is actually worth substantially more in purchasing power during a depression. The common denominator during all financial panics is the demand for cash and liquidity. This crisis during the late Republic is no different with respect to liquidity. Caesar realized that the differential between pre-crash values and money compared to post-crash depreciated values and the rise in purchasing power of cash unjustly benefits creditors at the expense of debtors. For example, a house worth $100,000 before the crash becomes worth $50,000 in the post-crash era. Therefore, if the creditor were to collect $100,000 on the old loan, he has doubled his money from a purchasing power perspective. Caesar’s unique solution is something that deserves close study. Caesar demanded that creditors not merely be obliged to accept real estate and movable objects in repayment, he also decreed that the valuations on such property would be established at pre-crash levels. He established state valuers to place official values on all property. These special state valuers were appointed by the city praetor. Caesar in addition decreed that all interest previously paid by debtors to their creditors should be deducted from the principle of the loan in question. Given the fact that interest prior to the election of 53 had stood at 4% and in post-election years 8%, the interest rate at the peak of speculation prior to the crash stood at 12%. One can easily see, therefore, that the interest abatement was indeed a major concession that would not have sat well with the moneylenders. The exact timing of these events is not certain. But we know that these events took place between the years 49 and 44 BC – the last 5 years during Caesar’s life. We know that Marc Antony and Dolabella were buying up the properties of political exiles and casualties of the Civil War believing that Caesar would outright abolish all debts. In fact, Antony even purchased the palace and salves of the fallen Pompey the Great at auction assuming he would never have to pay. Unfortunately for Antony, Caesar did not simply wipe the slate clean and their purchases needed to be settled. Clearly, the measures taken by Caesar warrant investigation. The economy was stabilized. It is difficult to determine the long-term effects due to the assassination of Caesar and the outbreak of war as Antony and Octavian pursued Brutus and his compatriots. Nevertheless, the measures of Caesar stand alone within the solutions to monetary crisis situation throughout time. Obviously, demanding debts incurred prior to a crash be settled at the same face value after the crash is the very essence of monetary crisis irrespective of the time period we discuss. Caesar’s actions in this case do not suggest that he was a ruthless dictator. Nor does the evidence support internal corruption within his administration given that Marc Anthony was forced to honor his debts as well. It is obvious that the actions or Caesar were in fact for the benefit of the people at the expense of a corrupt Senate of Rome.